Home / Blog / WELCOME To My New Web Site! Welcome to my brand new web site. I am very happy with the new look. I have kept it simple, assuming that most of you want to find here (a) what is new and upcoming (b) all the books and novellas I have written, with clear BUY links so that you can go and buy them without having to hunt around, and (c) some details about me and my life outside of writing. You can find all these things here. Also you can contact me through my guest book, join the email fan list through which I can also communicate with readers and readers can communicate with me, and read and comment upon my blogs. 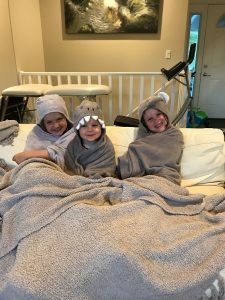 I have not been great about writing blog posts in the past few years, but I plan to mend my ways and post something here at least once a week. Time will tell whether I keep that resolution or not! You can see at the top of Home Page what is to be published during the rest of 2018–one new book (SOMEONE TO TRUST), one ebook republication (A DARING MASQUERADE), and the all-in-one bumper print and ebook (A VERY SPECIAL CHRISTMAS). It is a republication of A CHRISTMAS BRIDE and the five-novella anthology, UNDER THE MISTLETOE. I know many of you are eager for my old, out-of-print books to be available again, and many of them already are, as Class Ebook editions. There have been only three this year, but there are no fewer than SEVEN scheduled for 2019. Maybe my next blog post will be about those and when exactly they will be published. I hope you will enjoy my personal page, with new pictures of my family (great-grands Mia, Kade, and Melody, in the picture above). I consulted them all so that I could choose pictures they wanted to see here. Do write something in my guest book. I always love to hear from you, and I answer most messages before posting them. I also strip email addresses so that they are never shown publicly. Love the website and the blog. And a delight to read about your life and how you became a writer. Thanks for sharing your talent with us in your wonderful books. I look forward to reading many more in the years to come! Hi Ms Balogh, many years a fan. I’m an army brat and attracted especially to your gallant officers and enlisted men. Have your considered a story based upon Colonel Jason Huxatable? Who turned down Madeline in the Web series? Seemed a gallant man of much good sense. I am a fan of almost 10 years. I discovered you in my local library shortly after I retired. I’m glad to hear that you plan to start blogging again. I was sad when you stopped posting them, but I understood. BTW love your new website. I love this list of books. I will have to go upstairs to check, because I believe I have several of these older books. I have been gathering as many of them as I can find. I look forward to filling in the gaps. And the blog site is wonderful. Thanks for this heads up. I have read and loved most of your books but most especially the bedwyn series. Is there not some lost relative to be added to the family? I don’t consider your books “Romance.” To me, they are stories of people’s struggles and their ultimate happiness. Your characters possess a depth not often seen in “Romance” novels. Rather than bodice-ripping there is insight into the human condition. I admire how you depict all aspects of love: romantic, familial, patriotic, unrequited, noble, secret and sometime unhealthful. All your books reflect the societal realities of their era: rigid rules, of behavior, the class system, the effects of war, attitudes toward the disabled, and so forth. But the characters! Oh! the characters! I can see them roll their eyes, sneer, smile, laugh and love. I agree with Barbara Ostarch. I have been reading your books for about a year and think they should be called novels rather than romances. I live in Australia and find that they are not readily available, there seems to be only one distributor. I doubt however, that your aristocrats would say “it gives me the shudders” or “anytime soon”. I find these phrases in all your books without fail and think any good governess or tutor would prevent heros and heroines from using either. Sorry, but they jar rather and spoil the books for me. Otherwise, I really like the books and marvel that you can keep on thinking up the stories and characters. I am looking forward to your new novel due out next month and have placed an order for it. I would love to have your bag. I have three books coming in the mail, and how will I carry them? Hi , my name is Dawn. I thoroughly enjoy your books and look forward to the next one coming out. I’ve always enjoyed romance books from my teenage years to date. It started with Georgette Heyer. I will continue to enjoy romance books. Please keep them coming. I love to read romance as a balm to the dread realities of real living. For me, I escape to a time of elegance and wit. Your writing makes me cry, laugh and hope for brighter moments. As I age I find in a good romance the seeds for understanding life, a perspective that lifts depression and nurtures hope. Those lovely young people have such hope. Wish there were romances for more seniors, second chances after a long life. I’ve read all of your books ( I think ) and share them with my cousin when I’ve finished them. I always tell her that I want them back. I am reading the Bedwyn series right now and so far they cover all of the Duke’s brothers and sisters. What about the Duke. Is there a romance for him? I know he marries but which book is his story? Wulfric’s story is told in SLIGHTLY DANGEROUS, Karol McLean–probably my most popular book. Yes! Slightly Dangerous is the best of them all–and that’s saying a lot. Though I must admit that A Very Special Christmas made my Spring Break here in Texas that much more warm and cozy! Keep writing, Mary! I love the new web site. I am also delighted more e-books are coming. I actually have every book you have written and loved all of them but, as I have grown older, I like the convenience of my kindle. I have bought now bought all of the e-books. I hope you keep the books coming. Thank you for many hours of inspiring and enjoyable reading. I’ve been a fan for quite awhile and know that when I pick up one of your books, I’m going into a mini-seclusion until I’m done. Just finished reading A Precious Jewel. You delivered on the “ending”, which was really their new “beginning”. Wonderful spin on how 2 people can meet under unusual circumstances and grow to love and trust one another. I am now semi-retired and about to make a final move from the South to Northern Indiana next spring. Thank goodness I already own so many books to re-read and the first place I checked out was their library. Very nice, thank you. Thank you for having the talent to write, the guts to keep them coming off the presses and to take the chance on writing about such a match as in A Precious Jewel. I absolutely love all your books and I have been known to shed a tear in some especially Longing, my favourite. I must say how amazing it is to have your talent to be able to come up with story after story. Most authors are amazing people. I love your photo of your grand children so cute. Have been reading your books for years and can’t wait each time a new book comes out. There are so many times I was unable to put one of your books down. I have stayed up all night to finish a book and wanted it to go on, when it came to an end. LOVE your work! Love following you and your posts on Facebook. well it wasnt easy but thanks to your instructions i am here.i really enjoy your book and writing to all you uthors about them just wish sometimes was easier for us who werent raised on computers and have trouble figuring out how to do things.at least you explained how some dont thanks. I love your books, Slightly Dangerous being my favorite. I love how you turn what characters see as their weakness into their saving strength. I hope you continue to write more and more! Today, I am reading The Dora Debbings story and George, The Duke. The Surviviors Club Series is great. When i have a bad day, I reread your old stories. They are like medecine for me. Thank you. The cover is lovely and the title is intriguing! Thanks for entering my name into the contest. I absolutely love your books and I really love a villain who can be redeemed at the end or in another book. Gives me hope and I really love a happy ever after in my books and really love yours. Loved Heartless but that is only one of the bestest books on my list haha. Thanks for entering my name in to the contest. Have been reading and rereading your books for about 20 years. Loved the Slightly series with Slightly Dangerous my favorite. Also loved the First Come series. My favorite there was Con’s story. And I adored the survivors series. The book about George, the Duke, was my favorite. But I love all your books. Have read all of them more than once and some up to 4 times. Can’t wait for Someone to Trust. Keep writing and I will keep buying and reading. I have been a long time reader of your books. As I am in Australia I had to wait a while till they were in the shops. This time I have resisted reading the Someone Series until Someone to Trust comes as I plan to have a weekend blitz on them, turn out lights, park the car elsewhere and have a lovely uninterrupted time. These books are beside my bed and each day I resist until after 27 November when I get Someone to Trust. Now I find you have a Someone to Understand coming! I have discovered Booktopia so will pre-order it as soon as possible. I loved the Survivor’s last book with George & Dora, also the last of the Simply Series. I too read the books over and over! Do note, Jill Delahoy, that the book I originally called SOMEONE TO UNDERSTAND has had a title change to SOMEONE TO HONOR. It is due for publication in November, 2019. I’ve been a fan for at least 20 years! I’ve read your books over and over. My favorite book is Tangled. That story is so haunting and full of pain; like life. However, love conquers in the end. I just received Someone To Trust therefore I’m getting ready to immerse myself in that book. Thanks for sharing photos of your great grandchildren. The best to you and your family during the upcoming holidays. Hi Ms. Balogh. I’m one of your biggest fans! I hope to read all your books especially the old ones which get me frustrated because I couldn’t find them. Thank you, Delia C. Aguipo. More and more of the old ones are coming available again as ebooks–see the books page at my web site. There will be six more coming in 2019. I just finished reading your book “Someone to Trust.” I have found all of your Wescott novels so interesting to read. I hope their story will continue with one or more of the books you have planned for next year! Thank you for writing such intriguing books. I have read and reread all of your books and have just finished Someone to Trust. They are my go to option if I have something on my mind that I need to forget about. This happened just recently and they were a real saviour to me. Thank you for this and I am looking forward already to the next book, please just keep writing! I just read Someone to Trust over Christmas and loved it! Thank you for brightening my life with your writing. You have a true gift. Love all your stories, marriage of convenience or not. They all hold my interest, make me think, and end on a happy note. And you definitely provide a few book boyfriends, even of the snooty, aristocratic sort. I’m talking about you, Wulfric! Keep doing what you do best! I stand by the comment I made after reading the first of a number of your books — that is, “Mary Balogh is God’s gift to the discriminating reader.” Aside from the facts about me: highly educated, well-traveled in the U.S., the British Isles and western Europe, before embracing Roman Catholicism 60 years ago, I was an Episcopalian-migrating into High Church Anglican. Be that as it may, the Episcopal church is, as you are no doubt aware the American branch of the Anglican Communion. Perhaps simply because the Deep South of the U.S. tends toward a certain particularity in outlook — okay, snobbishness — formal titles such as those awarded clergymen are a matter of etiquette. SO: to the point — It was always my understanding that clergymen in the Anglican Communion are never referred to as “Reverend So-and-So” but as The Reverend Mr. So-and-So. Ordination of women came along quite a bit after I became a Catholic, so I have no idea how women clergy are referred to at this point, nor am I interested in that. OK: the point of this message is that I notice your books mention clergymen as “Reverend So-and-So” rather than as “The Reverend Mister So-and-So.” I am wondering if the usage to which I was accustomed years ago has “gone with the wind,” or . . . what? Would you please clarify this point for me? Please understand that this message is not to be construed as an attempt at correcting you; I am simply wondering about it. As you are Canadian, and have a British heritage, I daresay you can enlighten me. By the way, my heartiest thanks for your books, a relatively recent discovery on mind and greatly to my delight to find there are many more awaiting me. It goes without saying that your books are unique, stunning in every quality I (and millions of other readers) appreciate most. You are probably right, Dolores. I am always ready to learn new (to me) facts and apply them to my writing. I will have to check it out and make the necessary adjustments in future books. Hi Ms.Balogh I became your biggest fan since I read Simply Perfect book of yours,It was my very first Mary Balogh book and needless to say I owned all of your latest books from Bedwyn Series to the Wescotts and I can’t wait for another one hopefully so soon..English is not my first language so bear with my grammar however I do love readings especially romance novel so here I am hooked to all your books..Thank you for being my inspiration..
” I have not been great about writing blog posts in the past few years,” Oh for goodness’ sake, Mrs. Balogh — just keep writing your books and don’t spare a thought beyond them unless that pleases you and you find it convenient to do so. You owe nothing to your readers but the continued sterling literary output of previous and present years. Your books are not only Keepers, they’re Re-Readers! I have no way to get to Barnes & Noble until Friday, so in the meantime, I’m re-reading Unforgiven and enjoying it fully as much as the first time around. And I expect to relish it just as thoroughly a third time in the future. Meantime, I plan to “stock up” Friday on whatever of your titles Barnes & Noble, my town Pensacola, Florida, has on their shelves, and even to order some others of your titles for future delights. Have just finished ‘The Simply’ quartet – what four adventurous stories they tell. Love all the characters including Horace the adopted dog in the fourth book. Keep up the good work Mary – everything written is so enthralling. Ms. Balogh, thank-you for this new site! I own many of your books in paperback and am delighted to find the older ones in e-format. When I want a straight-up romance with no other nonsense I turn to you. Do you have a mailing list to notify us when the post to your site? I’m just not n Facebook as often as I used to be and have missed following you. You could join my email fanlist, Katey Utterback. See my web site Home Page for a link. I give notice there of anything new. Ms. Balogh, I think I have read every published book you have written. Love every one of them. My absolute favorite is “Slightly Dangerous”, the story of Wulfric. But I must reiterate again, that I love all your books. The best of everything I have ever written. Keep going. We love you. 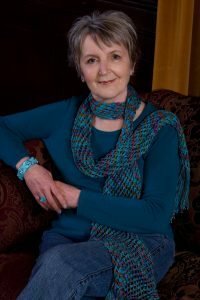 Mary Balogh’s books bristle with sensory pleasures and intellectual delights; they are feasts of the English language. Sigh! Mary Balogh has spoiled reading any other writers for me. I am about to discard a formerly enjoyable author’s book, placing in a stack of those I give away for others to read. 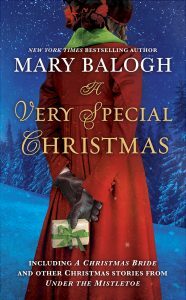 Mary Balogh’s books, as I’m sure I’ve said more than once, are Keepers, to be re-read numerous times and NEVER given away.